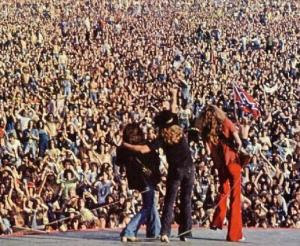 This is just a shot of Lynyrd Skynyrd from behind. John typed a 200 word essay here on how they phoned James in bed at 2am because they got a pub singer to do 'that Smell' by Skynyrd. And then John lost all stuff he had typed when we shifted blog data... but it was really funny. No really.